Team up in online co-op later this year. One Piece: Unlimited World Red, originally launched for 3DS in Japan late last year, is coming to the west on not just 3DS, but PlayStation 3, Wii U, and PS Vita, too. The game is an action-adventure RPG developed by Ganbarion. Players will live the Pirate adventure with “fun-filled escapades, action-packed battles, and powerful allies” in a “never-before-seen scenario.” All while mastering skills and combos, and facing against bosses like Crocodile, Rob Lucci, Caesar Clown, and others. Co-op gameplay will let up to four players team up to take down opponents, or enjoy mini-games like fishing, bug-catching, and so on. 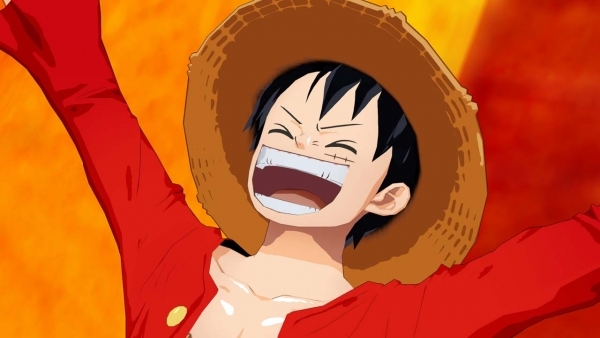 “Namco Bandai Games has been a proud publisher of One Piece games for many years, and with the astonishing global popularity of the manga series and support of the devoted fans, we are thrilled to be localizing One Piece: Unlimited World Red for the Americas,” said Chris Gilbert, Senior Vice President of Sales and Marketing for Namco Bandai Games America.